The pianoforte and electronics can be an especially resonant combination, the richness of the piano timbre complementing the electronic part for a full sonic universe. That is, of course, if the music is well conceived. 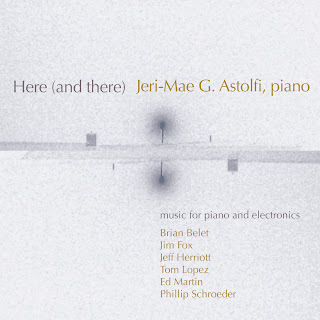 On Here (And There) (Innova 846), a program centered around the impressive pianism of Jeri-Mae G. Astolfi, it most certainly is. Six compositions are included, mostly mid-length works by Phillip Schroeder, Ed Martin, Jeff Herriott, Brian Belet, Tom Lopez, and Jim Fox. These are sonic, thoughtful modernist/pomo works in the Grand Tradition, meaning that they seek to create musical significance and often a complete, almost orchestral sound world though carefully "orchestrated" electronic parts and expressive, well-integrated piano writing. The music is seminal; Jeri-Mae G. Astolfi has an extraordinary presence, a brilliance, that goes a long way to making this an outstanding program. Thank you. In case you didn't know, my name is not Admin. If you are a robot, you are in need of adjustment--or perhaps my name is indeed Admin! I am glad you think the information is exciting. How? 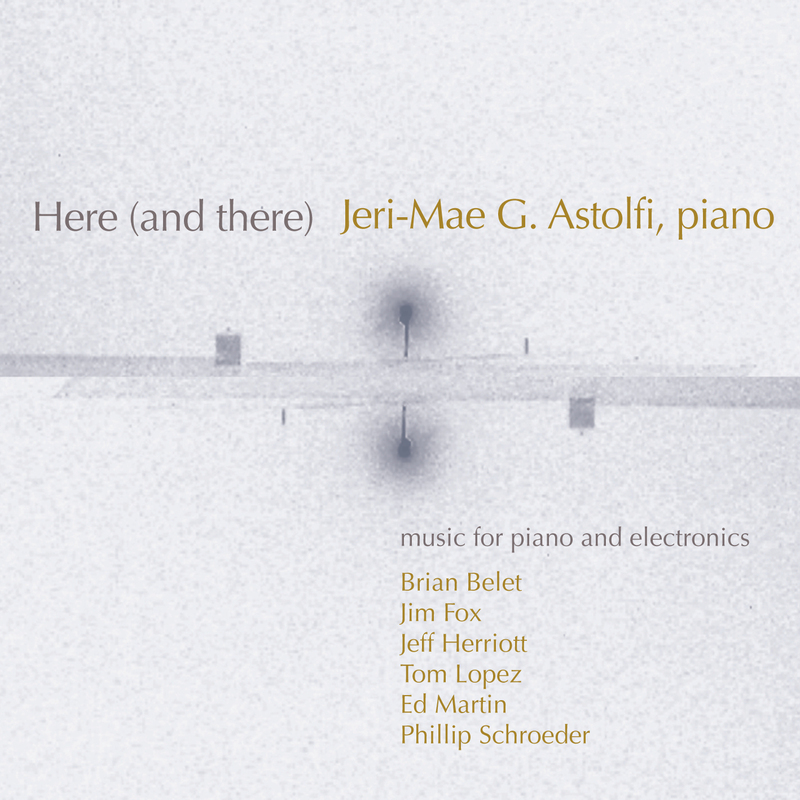 You are excited about music for piano and electronics, is that it? Your link leads to an "account suspended" page. I hope it is a legitimate, legal music site! It is not the policy of this Admin guy to advocate anything illegal on my blogsites. But thanks!